The Cheltenham Festival is regarded as the pinnacle of jumps racing and is the highlight of the National Hunt calendar. It is one of the most discussed sporting events of the year and it regularly produces plenty of drama and excitement for punters. The four-day extravaganza is enjoyed by many fans on the television but nothing can compare to witnessing these top-class competitors in the flesh. We pick out three pieces of advice which could come in useful ahead of a trip to Gloucestershire. It may seem an obvious thing to point out but it is generally advised to have your plans finalised up to twelve months in advance. With 100,000 spectators descending on the racecourse over the course of four days, everything becomes booked up extremely quickly. Early bird tickets are always available to purchase up to five months in advance but don’t forget to confirm accommodation, train tickets and dining options with plenty of time to spare as this will help avoid disappointment. 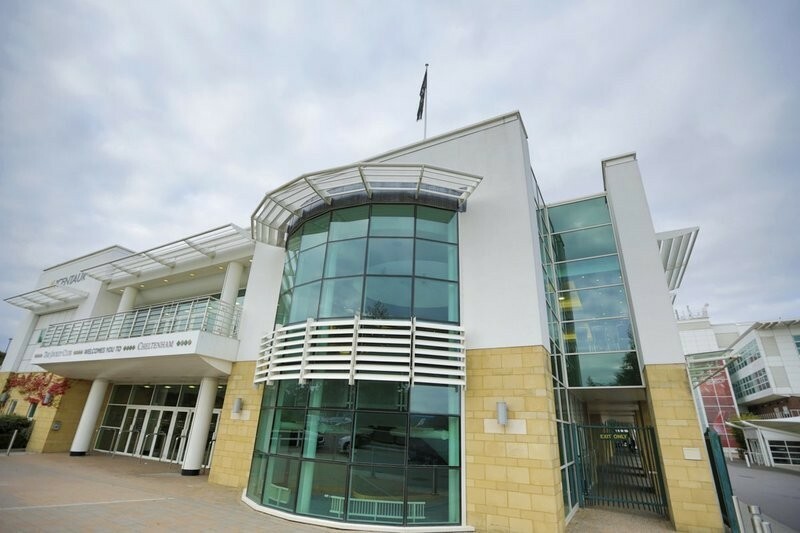 It’s one of the most-visited sporting events in the UK and with only fleeting glimpses of the crowd on TV, it can be very easy to underestimate the number of punters heading to Prestbury Park each day. A new record attendance was set in 2018 and the festival continues to attract swathes of visitors who will also require somewhere to eat, drink and sleep. Visiting the Cheltenham Festival is a hugely enjoyable experience but it could potentially be soured by heavy losses or a sequence of bad bets. Whilst it is possible to conduct some research from the Grandstand, it is always easier to arrive at the track already armed with plenty of knowledge. If you’ve carried out your research beforehand, it allows you to relax, take in the scenery and socialise without having to meticulously study the form guide every thirty minutes. 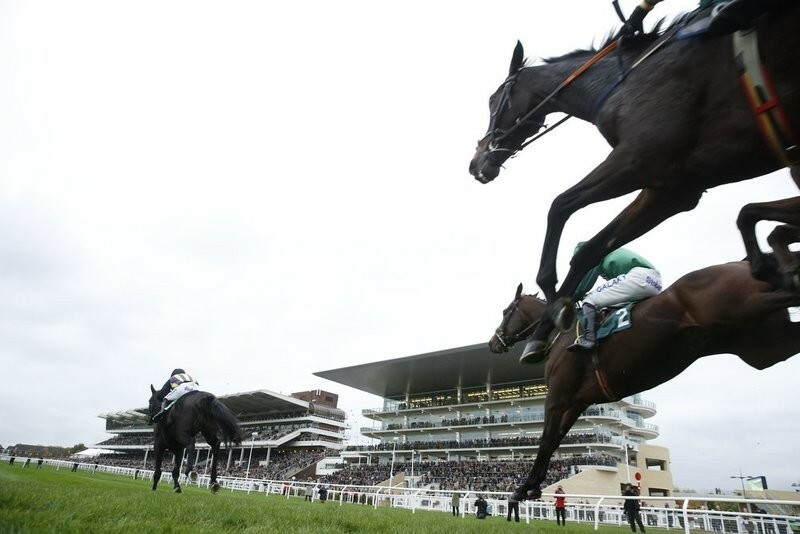 Sites such as Betfair have countdown blogs for the Cheltenham Horse Racing Festival, which offer analysis of all of the major races across the four days whilst recent form and statistics are also readily available online. With a large crowd in attendance, 4G can sometimes be in short supply so it isn’t always advisable to simply hang your hopes on a quick pre-race browse on your mobile. The Cheltenham Festival is held in the middle of March and although temperatures are usually on the rise at that time of year, it can often be deceptively chilly at Prestbury Park. The track is located in a valley and as a result, there is usually a constant chilly breeze present throughout the four days. Although the crocuses and snowdrops suggest brighter temperatures are just around the corner, cold weather is not uncommon during the festival and 2013 was a particularly frosty year for the course. Don’t underestimate the British weather and ensure that you pack warm clothes for your visit to the track. The experience is always enhanced by dressing appropriately for the season and Cheltenham is generally viewed as one of the coldest in the country. The roar of the crowd as the tape goes up ahead of the opening race is fairly unforgettable and visiting the Cheltenham Festival is a truly memorable experience. If you are hoping for a stress-free and near-perfect trip to Gloucestershire, it is important to ensure that you have every aspect of your visit booked in advance and to make sure that you don’t forget those all-important winter warmers. Many Clouds won 12 of his 27 races under National Hunt Rules, including nine of his 18 steeplechases, and earned £928,000 in total prize money. However, the son of dual-purpose sire Cloudings will be forever immortalised as the winner of the Grand National in 2015. 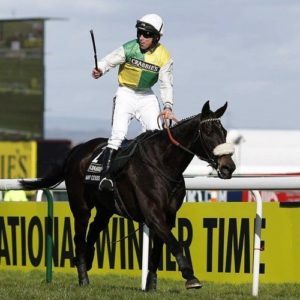 A first winner of the world famous steeplechase for trainer Oliver Sherwood, but the second successive winner for jockey Leighton Aspell, after Pineau De Re in 2014, and a third winner for owner Trevor Hemmings, after Hedgehunter in 2005 and Ballabriggs in 2011, Many Clouds was attempting the National fences for the first time. Nevertheless, he had already proved himself a classy staying chaser, winning the Hennessy Gold Cup and the Betbright Cup prior to finishing sixth, behind Coneygree, in the Cheltenham Gold Cup en route to Aintree. In the Grand National, he raced prominently throughout and, having been left in the lead by the fall of The Druids Nephew at the fifth last, galloped on relentlessly to win by 1¾ lengths from Saint Are, with Monberg Dude a further 6 lengths away in third. In so doing, Many Cloud, who carried 11st 9lb to victory, put up the best weight-carrying performance since Red Rum in 1974. Less than two years after his Grand National triumph, in the Betbright Trial Cotswold Chase at Cheltenham, Many Clouds lowered the colours of King George VI winner and Cheltenham Gold Cup favourite, Thistlecrack, for the first time over fences. Tragically, having won by a head, Many Clouds collapsed after the finishing line and, despite immediate attention from racecourse veterinary staff, died. As with every year , 2018 has plenty of stand out moments and horses that really push it to the next level. 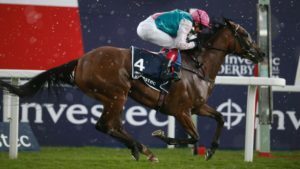 Since we like to shine a light on racing success here at horsesandcourses.net , I figured that I would pick some of the racing moment and horses of 2018 that really shone and demonstrated equine excellence at its best. There are of course many to choose from and so in this edition I’m shining a light on a couple of the most successful fillies / mares from at home and abroad in 2018! First off and most recent has to be Winx, whose achievements I recently highlighted on the site. We’re used to hearing of UK and US success, but not so much Australian. However, Winx, an Australian thoroughbred made global racing news (CNN, Racing Post etc) just days ago when she won the coveted Cox Plate for a record 4th time. This came as part of an ongoing run of 29 wins in a row. A stunning achievement and one I’m sure plenty of those betting on online casino and sports betting sites will have appreciated greatly. Check out this site to get place a wager. The Guardian highlighted the fact that Winx is held in such high regard in her home country that one Ebay user had even sold a bag of her droppings on the site for $200. It’s a crazy world! Winx is currently number one in the Longines World’s Best Racehorse Rankings. Another highly respected ranking system is of course Timeform, of which Enable, the other mare that’s really stood out for me this year, is currently representing herself well. This British thoroughbred started as she meant to go on in 2017 by winning the likes of the Epsom Oaks, King George VI and the Queen Elizabeth Stakes, but the real cherry on the cake was in winning the Prix de l’Arc de Triomphe, one of Europe’s most prestigious races, with none other than Frankie Dettori on board. In was 2018 that really confirmed this filly’s place in the history books though with a second win in the Prix de l’Arc de Triomphe in two years, making her the first England trained horse to win this event twice. With numerous ‘Horse of the Year’ awards under her belt, and career prize money of over £6 million and counting, the future looks very bright for Enable. With 2018 soon coming to a close, what will 2019 hold in store for these two I wonder, and what other ‘New kids on the block’ will come through to stake a claim to racing greatness. Time will tell!